Kidnapped by her family's enemies, a young English woman becomes a prisoner of a Scottish clan-only to capture the heart of her captor. Judith Lindsay has been a widow for seven years, and knows that she wouldn’t be welcome back with her own family in England. So her only purpose is her niece, Mairi, who is the only one that make her feel she has a purpose. But while spending time with her niece, enjoying the fresh spring after the long winter, riders come storming their way and kidnap both Judith and Mairi. So Judith finds herself kidnapped, far away from anyone she knows. Judith is determined to stay with Mairi no matter the circumstance. 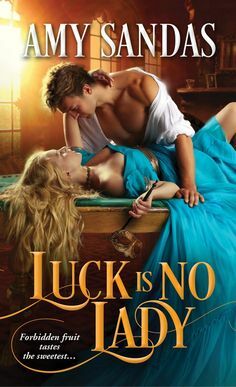 Robert Campbell has just lost his seven brothers, because of his father’s decision, and now he will be the future laird, and even though he tries to resist his feelings for Judith, he can’t help but feel a connection towards her. Rob knows that he is for quite a battle, when Judith’s life is put in danger, and he will have to decide between his loyalty to his father and his love for Judith. The Laird is a single title from Juliana Garnett, and this story takes place in the early 1300’s in Scotland. Now I recently just discovered this author a few days ago, and when I saw a couple of her books on the shelves of my local library, I thought I wanted to try it out. I have been more interested lately in the medieval time period, and I wanted to see what Garnett’s storytelling was like….and I can say that its a diamond of a romance that is authentically realistic to the time period and I had no hardship getting into the story. I do love a story that seems more realistic, I feel like a lot of historical’s currently are more happily based and they are more based in 1800’s, and as much as I love that time period, its always a good experience to mix things up a bit. I really love history, and once you start reading this story, you see certain details in a culture that captivate your attention and turns a story into a world of real people and circumstances. There is quite a bit of historical facts involved in the story, but I loved the way that Juliana Garnett weaved this story together, while sticking with facts of history. It always make for a more intense read when the author has done their homework, which I am sure isn’t easy especially when you consider how long ago this story takes place in. The story is about two people that fall in love when you least expect them to. Judith has been kidnapped by Rob’s father, so tensions are a bit high, but from the beginning we see a bond form between them. Even though they are enemies of sorts, a adventure soon begins with these two characters at the helm, danger around, enemies that would seek to tear them apart, and a plot to keep you surprised. I really loved how it seems like a predictable story, but in the later half of the story, it keeps you on your toes. The romance is slow and steady, and I loved how comfortable I was able to get with this story and I just wanted to soak it all in. A winner of a medieval romance…charm, history, passion, fierce emotions and one wild ride you won’t ever forget. TASTEFUL AND EXCITING! !